joined the Culpeper District in January 1998 as the District Manager. He earned a BS in Ecological Agriculture from Evergreen State College and an MS in Horticulture at Washington State University. Previous to employment with the CSWCD he served as Greenhouse Facilities Manager and Staff Horticulturist for the Institute of Biological Chemistry at Washington State University. Greg can be reached via e-mail at gregw@culpeperswcd.org. started working for the District as Administrative Secretary in May of 2003. She was born and raised in Cleveland, Ohio, developing a love of the land and nature spending summers on her grandparents’ farm in the Ohio countryside. 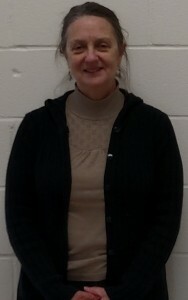 Joann studied Business Administration at Germanna Community College, and underwent extensive training in computer programming and systems analysis with IBM. She worked for many years as a Programmer and Systems Analyst with Rental Uniform Service in Culpeper, and the Culpeper Farmer’s Coop. She also served as the Database Administrator for Communications Corporation of America in Boston, Virginia, and was the Office Manager and Administrative Assistant for the Culpeper Country Club. In 1985 she worked with her husband Greaner to turn their interest and experience in organic gardening into the Boston Spice and Tea Company, a small business growing and selling culinary herb products. Joann’s hobbies include kayaking, hiking and just “being in the outdoors.” They have two daughters, Carly and Logyn. JoAnn can be reached via e-mail at joannN@culpeperswcd.org. joined the Culpeper SWCD in January of 2005 as a Conservation Specialist. He attended Virginia Tech and graduated with a Bachelor of Science in Biological Systems Engineering. He is a licensed professional engineer and certified stream monitor with Save Our Streams. He has a wonderful wife and two beautiful daughters. He is an Eagle Scout and enjoys camping, hiking and caving with his family. Richard’s responsibilities include reviewing site plans for erosion and sediment control and stormwater management for the District’s member counties. To contact Richard, send an email to richardj@culpeperswcd.org. joined the District in January 2005 as the Information/Education Coordinator. She was born and raised in Queens, NY and moved to the area in 2000. Stephanie earned a B.A. in English from Mansfield University of Pennsylvania. Stephanie has worked at local non-profit organizations and completed a year of national service as an AmeriCorps Promise Fellow in DC. In her spare time, she also helps newly diagnosed arthritis patients cope with their illness and teaches them how to become their own healthcare advocate. She also volunteers as a patient success story for Johnson and Johnson and is featured in the “Patient Perspective” program of the American College of Rheumatology. Stephanie lives in Albemarle County with her husband and daughter. 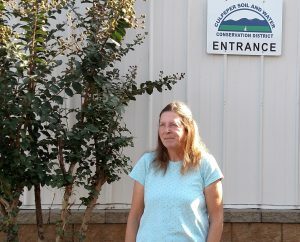 In May 2011, Stephanie was recognized as a Certified Watershed Educator by the Virginia Department of Education and is an Honorary member of the Old Rag Master Naturalists. Stephanie’s responsibilities include maintaining the District’s websites, newsletters and coordinating the rain barrel, education and Envirothon programs. To contact Stephanie, send an email to stephanied@culpeperswcd.org. joined the District in September 2005 as a Conservation Specialist. Spencer was raised on his family’s dairy farm. He graduated from Orange County High School, where he was very active in FFA and served as the regional vice president. He worked at Orange Madison Co-op and on the family farm while in high school and college. He graduated from North Carolina State University with an Associate’s Degree in General Agriculture. Spencer worked on the family dairy and for a lumber company prior to working at the District. Spencer, his wife and their three children live in Somerset on a part of his old family farm. In his spare time, Spencer enjoys camping, hunting, fishing and watching Virginia Tech games. Spencer is based in the District’s Orange office and covers Greene, Madison and Orange Counties. To contact Spencer, send an email to: spencery@culpeperswcd.org. joined District in October 2005 as a District Representative. Jimmy was born and raised in Greene County. He received The Governor’s Model Clean Water Farm Award in 1992. He spent 4 years in the Air Force before marrying his wife of 30 years, Gayle. His farm currently has beef cattle, although he has had hogs and sheep in the past. He has fenced all of the streams on the property he owns, and most of the streams on the land he rents. He is a past member of Culpeper SWCD board, Greene County School Board, Greene County Board of Supervisors and the Greene County Social Services board. Jimmy and his wife enjoy spending time with their 3 daughters and grandchildren. joined the District in October 2006 as a Conservation Specialist. David was raised on his family’s beef cattle farm. He was born in Charlottesville and raised in Rappahannock County. He graduated from Rappahannock County High School, where he was a 4-H All Star and an Eagle Scout. 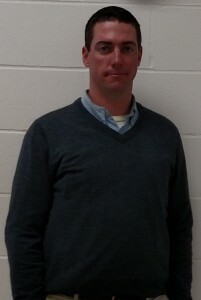 He graduated from Roanoke College in May 2006 with a Bachelor’s Degree in Environmental Policy. David has worked on the family farm since he was 13. The farm is a 5th generation commercial operation that has installed CREP and various Best Management Practices. While in college, David interned at Piedmont Environmental Council & Mill Mountain Educational Park in Roanoke. In his spare time, David enjoys fishing, canoeing and working on the family farm. David covers Culpeper and Rappahannock Counties. To contact David, send an email to: davidm@culpeperswcd.org. joined the District in April 2012 as a Conservation Specialist. She graduated from Virginia Tech with a Bachelor’s degree in Animal Science. She has worked on the family horse, cattle and crop farm for many years. When she is not performing District tasks, she enjoys working on the farm or with her animals. Henny works on the residential (septic system) cost share program. She can be reached at hennyc@culpeperswcd.org or 540-948-7531. Joined the District in September 2016 as a Conservation Specialist. She grew up in Fauquier County on her family’s farm and enjoyed participating in 4-H growing up. Amanda graduated with her Bachelor of Science in Biology from Christopher Newport University, with minors in Chemistry and Psychology. After college she volunteered at the Smithsonian Conservation Biology Institute in Front Royal, where she worked with cheetahs, black-footed ferrets, and several species of endangered birds. 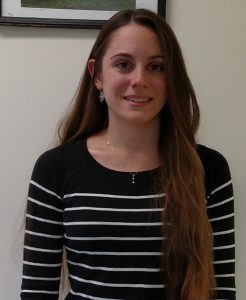 Amanda joins Culpeper SWCD with 2 years of experience working for the Lord Fairfax SWCD in the Shenandoah Valley. She is an amateur birder, who enjoys hiking, skiing, and time with friends and family. She can be reached at amandac@culpeperswcd.org. Joined the Culpeper SWCD in May of 2018. Kendall was born and raised in Culpeper on her family’s beef cattle farm. She graduated from Culpeper County high school where she was active in 4-H and FFA. Kendall graduated from Virginia Tech with a Degree in Animal Technology and was an active member of Block and Bridle and was on the collegiate Livestock Judging team. She has worked with the Virginia Dept. of Agricultural and Consumer Sciences (VDACS) in the Warrenton Animal Health Lab and most recently has worked at the Orange-Madison Co-op. She lives on the family farm with her husband. In her spare time she enjoys working on the family farm, horseback riding, gardening and fishing with her husband. She can be reached at kendalld@culpeperswcd.org.